It has been 42 years since the very first interplanetary mission to Mars was launched by the National Aeronautics and Space Administration, the United States. The landing of Viking I marked the beginning of a new era where NASA continued to conduct extensive research to extract the maximum possible information of the Red Planet’s atmosphere. A series of increasingly modernized and equipped modernizers and orbiters are regularly sent to study the features of our neighbour. However, there was a drawback in all of these missions. They were merely skin-deep. None of them could manage to go beyond the surface and extract vital information. 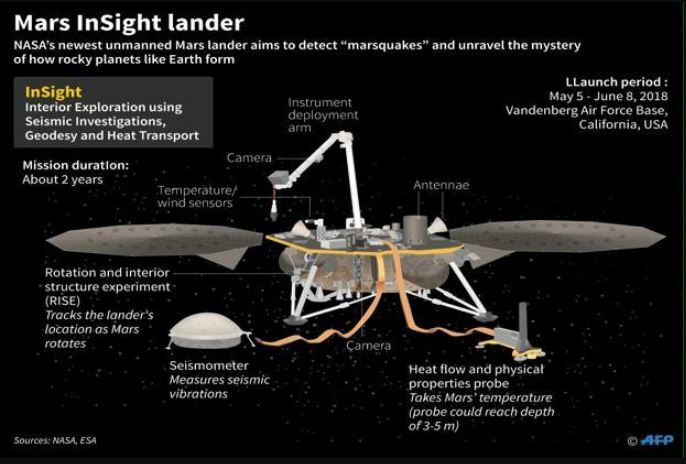 Mars InSight which shall land on 26th November 2018 after a journey of 300 million miles, is the first mission of its kind which aims at recording crucial information about the interior of the planet or as the Jet Propulsion Laboratory puts it “the vital signs of Mars”. InSight will mark its landing on a Martian plain known as Elysium Planitia. The first deep-space mission of Nasa from the West Coast took off on this Saturday Morning aboard an Atlas V rocket. The spectators across the broad swath of Southern California were fortunate enough to witness this historic event themselves. Their eyes lit up at the sight of the rocket’s red glare as Atlas ascended into the orbit. It had centaur for the orbital stage, operated by the United Launch Alliance. The successful event was witnessed by the Vandenberg Air Force Base in Central California. There was a reason why NASA’s traditional choice Florida was shifted. There was a space traffic jam at the site, and thus the venue for the launch had to be finalized at Vandenberg. Though the place was shrouded in murk at 4:05 a.m., the typical foggy weather managed to block the view but not the roaring sound of launch. The whole process took about 93 minutes. While it took a total of 13 minutes from launch to orbit, InSight waited for an hour for the final burn. The final burn finally succeeded in directing it all the way to Mars. 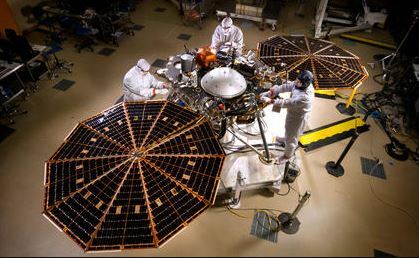 Talking about the features of this lander, it is 794 pounds on the weighing scale. It shall land at the surface of Mars after a cruise of six months. Then, through sensitive seismographs and temperature probes, that will be implanted into the surface, it is expected to reveal some interesting information about the interior of our neighbouring planet. The most dangerous part of the entire mission is the six-minute entry and descent. This massive mission is the product of the sweat of Mr. Lockheed Martin Corp. There is this one question which has continued to perplex scientists and space enthusiasts alike since ages: how did the Blue and Red Planets turn out to be so different provided that they were formed of the same intergalactic material and at roughly the same time, i.e. about 4.5 billion years ago? 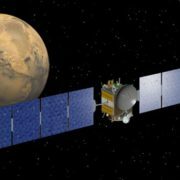 Mars makes studying rock planet formation interesting by its “Goldilocks” size. This fact directly means that though this planet is interestingly large enough that it went through the same formation phases like its neighbours: Earth and Venus, it is at the same time small enough to possess an extensive record of these processes layers beneath its surface. Talking about the differences in the atmosphere of the two planets, for which InSight had to be well equipped, our planet has active tectonic plates and convection. The flow of heat is thus outwards from the core. However, this is not the case with Mars. Therefore, to study such difference, Insight aims to dig 16 feet into the subsurface to measure the heat from the interior. 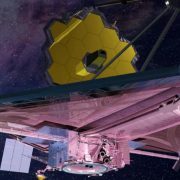 On being asked about the objective of this ambitious project, Bruce Banerdt, InSight’s principal investigator from JPL elaborated that “It’s a science of understanding the early solar system … how planets formed”. Earthquakes occur on the surface of Earth due to the movements of tectonic plates. These movements are natural and sometimes cause massive destruction. Mars is not spared by them either. Mars doesn’t have tectonic plates. However, even it shakes at specific points of time, and this phenomenon is termed as “Marsquakes”. 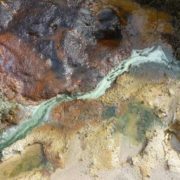 One of the chief aims of InSight is to study the science behind this geological phenomenon. This mission is not the first attempt to understand the concept of “Marsquakes”. Attempts have been made by NASA’s twins, Vikings, to study the phenomenon through seismometers. However, according to the JPL, these attempts were largely unsuccessful because seismometers were planted atop the crafts and thus produced “noisy data”. Thus, attempts were made to work on this drawback and make InSight’s probe more comprehensive. 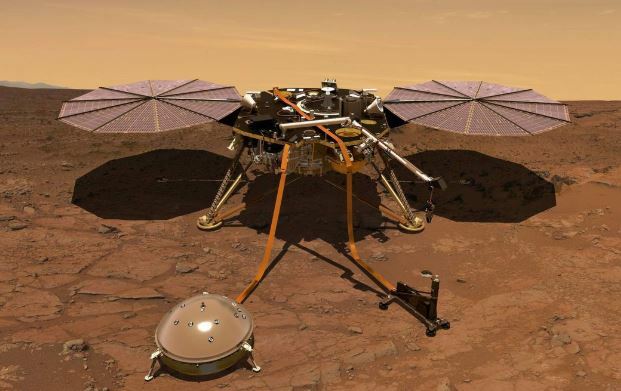 InSight will record Marsquakes from the ground. 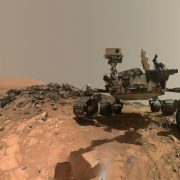 It is expected to yield much more useful data on the Marsquakes whose magnitude is less than 6.0 on the Richter Scale. Another question that arises here is that till now we had an extensive discussion on how “Marsquakes” have to be measured. Mars doesn’t have tectonic plates, hats for sure. Then, how do Marsquakes occur? The internal energy of Mars is much less than Earth. The seismic activity on the planet stems from the cracks in the crust. There were also developments in space on the same day. Apart from the mighty InSight, Atlas V also lifted two small CubeSats. These CubeSats will trail InSight into the Mars and will aid in testing deep-space communications technology. These CubeSats are small, about the size of a briefcase. This mission is the first time that such small satellites have been launched in the exosphere. There is a bevvy of “firsts” associated in this mission. Intoxicated and engrossed in the exciting science involved, the space enthusiasts and scientists are eager to know the outcome of this mission. Due to the distance and the perils in the entry, studying Mars has always been a tough task. With just 40% success rates when it comes to the missions sent to explore Mars, witnessing the outcome of InSight will be an exciting sight.